(d) increase the moral equity of the NBA to enable it effectively influence required reforms in the justice subsector and remain a respected watchdog of the society. It is currently election season in Nigeria and many politicians have begun sharing their plans for reviving the economy, developing infrastructure and promoting opportunities for Nigerians to thrive. Many Nigerians usually take these promises with a pinch of salt because often times, these politicians hardly live up to their word. It is a cycle we have experienced over again. Despite this lack of trust in politicians, it is actually brightening to note that some people still keep their promises and one of such esteemed leaders is Paul Usoro, SAN, current President of the Nigerian Bar Association. Many lawyers will remember the promises given by Paul Usoro SAN during his campaign and it is a breath of fresh air to actually see the learned silk living up to his word. In the Honorable President’s Reflections published here. He mentioned his plan to reform the NBA, and his actions are definitely going in that direction as illustrated below. According to the NBA Publicity Secretary, the next NBA NEC meeting coming up in December will be introducing the use of less paper as participants have been advised to come with smart devices and will be forwarded all relevant documents for the meetings prior to the event. Thus promoting environmental protection, cost reduction and efficiency. This is a first of its kind initiative within the NBA. 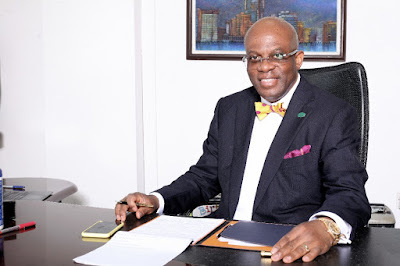 Paul Usoro has introduced corporate governance and financial accountability at the NBA by introducing the first ever publicly published financial statement of the NBA. The NBA has appointed some of the best brains in the legal profession to lead its work including; Iyabo Ogunseye, who was appointed to the Presidential Panel on the reform of the Special Anti –Robbery Squad (SARS); Prof. Ngozi Ezeilo, OON who was nominated to represent the NBA at the EU-Nigeria-UNODC – CTED Partenrship III on strengthening criminal justice responses to terrorism and violent extremism; and the nomination of Prof. Konyin Ajayi SAN as a representative of the NBA in the council of the International Bar Association. The NBA released the Report of the NBA Ad-Hoc Election Working Group On The Rerun Gubernatorial Election held in Osun State and the NBA’s report was fair and unbiased. The NBA raised an inquiry into the assassination of Barrister Emeka Agundu, Chairman NBA, Obollo-Afor Branch. The NBA President also entered talks with the Inspector – General of Police on issues bothering on victimization of lawyers by the Police. It has just been a few months since the Learned Silk took up leadership of the NBA and obviously there are still a number of far –reaching innovative strategies which Paul Usoro will introduce to the Nigerian Bar Association. Certainly all these go with the Honourable President’s mandate to #PuttingTheBarFirst.